Prepare your child for the 22nd century. 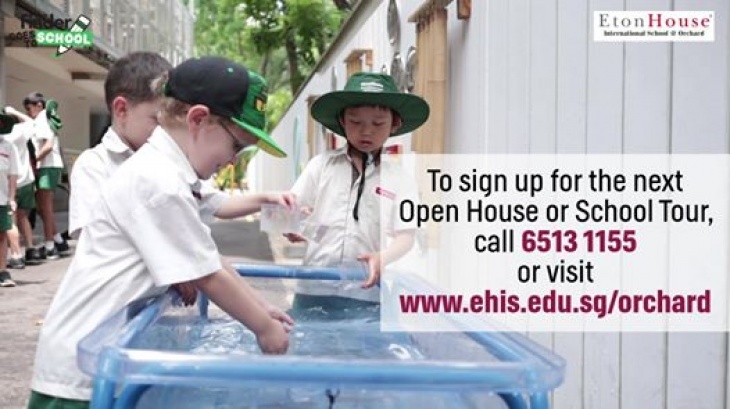 EtonHouse International School at Orchard is an IB Diploma candidate school. It is unlike other international schools. With an innovative learning environment in the heart of the city, the school prides itself for its modern and transformative approach to education. With a pathway from primary through to secondary and high school, the school's boutique nature translates into a strong, responsive and personalised curriculum that nurtures individual students into competent and successful life-long learners. Here, the IB Primary Years and Cambridge IGCSE secondary programmes respond to the interests, abilities and learning styles of each student. Come and be a part of a close-knit community where every teacher knows every student. Where bringing out the best in your child is a commitment shared by everyone in the school. RSVP for the Open House and get 50% off the registration fee.